BHI is a board-governed statutory health corporation, led by Chief Executive Dr Diane Watson, which produces independent reports and information about the performance of the healthcare system in NSW. Our people are health services researchers, biostatisticians and data analysts, graphic designers, communication and data visualisation specialists, and corporate support staff. Each is supported by BHI's management team. Amanda Mulcahy joined the Bureau of Health Information in January 2019 as its Senior Director, Performance Measurement and Reporting. Amanda previously led the Planning, Performance and Regulatory Directorate at the Mental Health Branch, NSW Ministry of Health. At the Ministry, Amanda monitored mental health system performance, drove mental health reforms, oversaw work to model demand for new services and undertook regulatory functions for mental health. Amanda has a strong interest in clinical engagement and quality improvement, sparked by an earlier role at the Australian Commission on Safety and Quality in Health Care. She is experienced in implementing activity based funding programs and has a strong understanding of health information systems and performance reporting. Amanda is also a registered practicing physiotherapist, past President of the Australian Physiotherapy Association (APA WA Branch) and elected member of the APA Board of Directors. Hilary Rowell joined the Bureau of Health Information in June 2017 to strengthen engagement with key stakeholders and maximise the value and impact of our information. 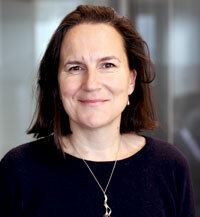 Hilary leads strategy development and is the Senior Director responsible for the communications function. Her previous experience includes extensive work in healthcare policy and strategy, principally in the United Kingdom (UK). Improving healthcare through the effective use of information has been a recurrent theme in her work, particularly in terms of better measurement, greater transparency and clearer alignment between people’s needs for information and what is available to them. Hilary’s career has included leadership roles in the UK healthcare regulator, Dr Foster Intelligence, ZPB and the NHS consumer-facing digital service. She has provided board-level advice to organisations including Picker Institute Europe, Academic Health Science Networks and The Kings Fund. 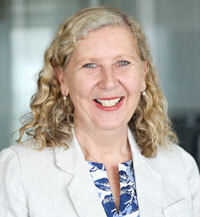 She has been responsible for a number of influential publications, including the Dr Foster Hospital Guide, the Intelligent Board report series and thought leadership on topics such as outcomes-based healthcare and the central role of effective staff engagement in the quality and safety of patient care. Hilary holds a Bachelor of Science in Politics and Economics from the University of Bristol in the UK. 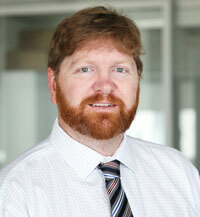 Jason Boyd was appointed to the role of Director, Patient Survey at the Bureau of Health Information in July 2014. He rejoins BHI after two years of working as Director of Hospital Performance Measurement and Improvement at the National Health Performance Authority. Jason has published numerous public reports on hospital services in NSW and for Australia, including the first Bureau Hospital Quarterly reports, and managed the transition of the NSW Patient Survey Program from the NSW Ministry of Health to BHI. Prior to joining BHI, Jason was the senior researcher for the Picker Institute Europe, running the NHS Patient Survey Program for England. Jason has a Bachelor of Physiotherapy from Otago Medical School in New Zealand and additional degrees in Human Anatomy and Human Physiology. Conor Cullen joined the Bureau of Health Information (BHI) in July 2017 and leads BHI’s communications function, which includes graphic design and web development. Conor has extensive experience in journalism and communications, specialising in public health communications, with expertise in strategy and content development, public relations, media and issues management. 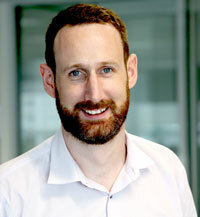 Prior to joining BHI, Conor was Head of Communications and Advocacy with a public health NGO in Ireland. Conor has a BA in Journalism and Media Communications from Griffith College, Dublin, and a Masters of Public Health from University College Dublin. Heather Dawson joined the Bureau of Health Information in September 2017 as Director, Performance Reporting. Heather leads the development and reporting of BHI’s Spotlight on Measurement and The Insights Series reports, along with the annual Healthcare in Focus report, How does NSW compare? Heather is a health services researcher with over 25 years of experience in performance measurement and reporting, policy evaluation and change management in the Canadian healthcare context. Heather has held leadership and management positions within hospitals and at the Canadian Institute for Health Information, the Health Council of Canada, and Ontario Ministry of Health and Long Term Care. Heather has a Bachelor of Science Degree from University of Waterloo, Ontario, Canada and a Master of Health Administration Degree from the University of Toronto, Ontario, Canada. Behnoosh Khalaj joined the Bureau of Health Information as a Senior Analyst when the organisation was established in 2009 and was promoted to Lead Analyst in 2012. She was appointed as Director, Data Management and Analyses in 2016. Behnoosh provides leadership to BHI’s analytical team and is responsible for data management procedures, analytic methodology and overseeing analyses, interpretation of data, quality assurance and checking processes. 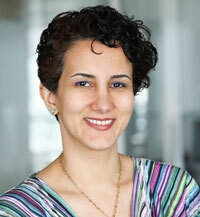 Behnoosh has extensive experience in analysing health administrative and patient experience survey data sets. 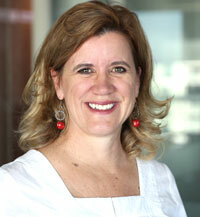 She has expertise in developing, validating and reporting health system performance measures. Behnoosh is a graduate of the NSW Ministry of Health’s Biostatistical Officer Training Program. She has a Bachelor of Statistics and a Master of Mathematical Statistics from Shaheed Beheshti University in Tehran-Iran, and Master of Biostatistics from the University of Sydney. In 2010, Ros O'Sullivan was seconded to the Bureau of Health Information to set up the corporate and statutory compliance functions of the new statutory authority. Ros brings to BHI high level skills and extensive experience over more than twenty five years in senior management and health executive roles. 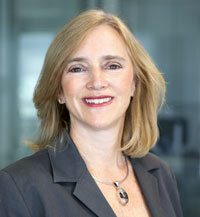 Ros was appointed Director, Corporate Affairs and Chief Audit Executive in 2012. The role includes corporate governance, finance, workforce, audit, risk management, project and contract management. Most recently her experience has included Clinical Group Manager of Medicine, Oncology and Emergency Services within a local health district, and Director of Corporate Services for numerous health services and public hospitals in NSW. Ros has a strong professional commitment and is focussed on promoting the improved performance, quality and safety of healthcare services. She is an experienced Accreditation Assessor of hospitals in both the National Standards and ACHS EQUIP program for hospitals throughout Australia. 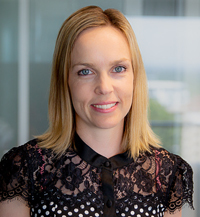 Ros has a Bachelor of Science (Physiology and Pharmacology) from the University of Sydney, a Master of Health Administration, and a Master of Commerce from the University of NSW. Ros is a Graduate of the Australian Institute of Company Directors, Fellow of the Australian College of Health Service Management and a Fellow of the Australian Institute of Management.